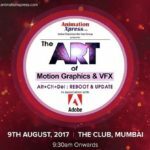 A seminar in association with Adobe to discuss the tricks and tools for creating exceptional visual effects, motion graphics and animated text for Film, Video, TV and web series. Alt+ Ctrl+ Del: REBOOT & UPDATE your skills by interaction with industry experts and stay abreast the software and technology. 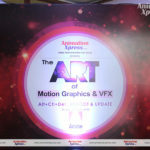 The Art of Motion Graphics & VFX in Mumbai was a grand success; industry artists craved for more!